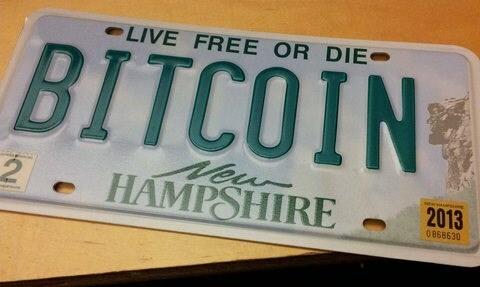 Mine your own custom Bitcoin or alt-coin address. Feel free to donate Bitcoin to this address! You can get Vanitygen for Windows or get the source from Github. If your GPU supports OpenCL, select the platform with oclvanitygen.exe -p 0 or -p 1, then use oclvanitygen.exe in your command. Each character you add after the prefix adds exponentially the amount of time it takes to generate an address. Using a GPU can cut the time down drastically but at a certain point it doesn't matter. Another thing that can cut the time down is using the -i (case insensitive) option. Also, the first character used after the coin's prefix has an affect on how long it takes to generate and address. A leading 1 is a 0 byte, or 8 bits. Each leading 1 after the first 1 in a Bitcoin address increases the difficulty by 2561 (28). Bitcoin and the other alt-coins that use a Blockchain use Base58Check encoding for their addresses. The encoding includes a version byte, which determines the first character in the address. Base58 removes 0, O, I, and l to avoid confusion when manually copying an address and they are invalid characters for Bitcoin and alt-coins. Alt-coins also have other invalid characters. -f: Read a list of terms to search for: -f list.txt Put a hyphen on a new line at the end of the file so it includes the last term. What you want is before the colon and is in hexadecimal, which in this case is 1e. You'll need to convert it to decimal. The number you get is what you enter after the -X in Vanitygen, so for Dogecoin it's 30. There is a list of address prefixes in case the decoder linked above ever goes down. The list leaves a bit of room for guessing but it's a good backup. Now that you have a vanity address, you need to import the private key so you can use it. If you have an online wallet, such as at blockchain.info, you can go to the Import/Export tab and simply enter the key there. If you are using the Bitcoin-Qt client, click on Help, then Debug window, then click the Console tab. If your wallet is encrypted, you will have to unlock it with the command below. After your passphrase you set the timeout, in this case 120. Don't leave your wallet unlocked for too long! After you are done, you should lock your wallet right away instead of letting it timeout with walletlock.